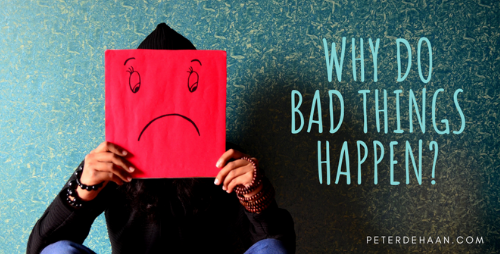 How Often Do We Blame God When Bad Things Happen? HomeBlogThe BibleHow Often Do We Blame God When Bad Things Happen? Most people know the story about Joseph and his multicolored coat. Of how his brothers resent his behavior and how their father indulges his favorite son. To get rid of him, the brothers effectively imprison him and sell him as a slave to some traveling merchants. Joseph is gone. Problem solved. Not really. First they need to concoct a story to tell their grieving dad. Then they must live in guilt for what they did. And their guilt doesn’t go away. It stays with them for a long time. A dozen or so years later, not knowing Joseph’s fate, his brothers travel to Egypt to find food. There’s a severe famine, and they want to buy grain to keep their family from starving. They unknowingly encounter Joseph, but he keeps his identity hidden from them. Joseph messes with them, accusing them of things he knows aren’t true and harassing them. Maybe this is to test them and see if they changed. Or perhaps it’s a bit of payback for what they did to him. Regardless, his rough treatment scares them. They conclude that their predicament of him accusing them of spying and imprisoning them for a few days is payback for what they did to Joseph. They perceive it as just punishment. What goes around comes around. So it is when bad things happen. Though the first impulse of many is to blame God when bad things happen, the truth may be quite different. Sometimes our predicaments are a result of bad decisions that we have made. Other times it’s the actions of others that are the source of our problems. Last, the world that we live in can be another source of difficulties. This isn’t saying that God never punishes us, because the Bible shows us otherwise. However, we’re smart to acknowledge that when bad things happen to us it may not be God’s doing. God has the power to punish us, but often our difficulties come from other sources.